Of course, no one is suggesting that you don’t keep your house clean, but over the years, there are some things that just gradually build up and you need to do a deep clean to restore your house to its freshest look. It might be that the carpet has suffered a few stains, or maybe the oven is looking a bit, well, used. Perhaps you haven’t pulled the sofa out for a while or maybe your cupboards need a good sort out to get rid of packets with dates preceding 2016. Though the traditional spring clean is a few months away, giving your house the deep clean treatment before the chaos of Christmas will give you the chance to relax in comfort throughout the season, knowing that your mother-in-law (and to be honest, anyone else) isn’t going to notice a stain you’ve long since forgotten about! The kitchen is one of those rooms where you tend to use and replace the same things at the front of each cupboard. This means that in every house, at the back of every cupboard, there are all kinds of things that really should have been thrown out months, or even years, ago. Start by using an oven cleaner to lift the baked on grease. Then, while it soaks, take everything out of the kitchen and give all your cupboards a clean. Before you put it all back, get rid of anything you haven’t used for a while and everything past its best. Defrost the freezer and empty and clean the fridge too for total kitchen zen. Return to the oven and simply wipe clean. Usually the reason a carpet looks bad is because it has various stains that have remained untreated and the fibres (wool or otherwise) have not been cared for. Luckily you only need to find a good carpet cleaner to restore your carpet to its former glory. Though you can do the job yourself, a company like chemdrybexarco.com will do all the hard work for you – get them to pull out the furniture to really make the most! This form of carpet cleaning is ideal because it is relatively quick and will also remove any allergens like dust and pollen, making you breathe easy. Plus they use all-natural products so you don’t need to worry. If you do get any stains after your deep clean, it is important that you work to remove it as soon as possible. Blot, don’t scrub, using a towel to get as much liquid away as possible. Then, have a look at this comprehensive list of stains and removal tips to make the best of the accident. 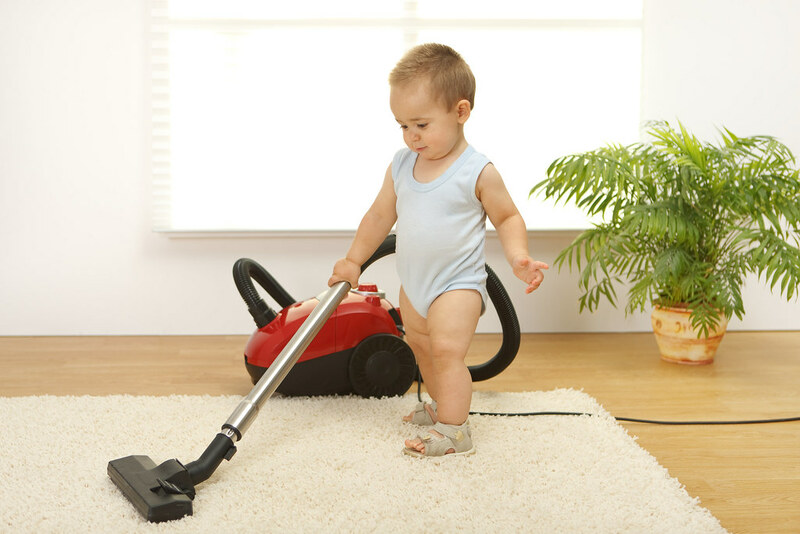 You can’t always control everything in your house and if you have kids, your carpet is going to suffer at some point, but now you can minimize the stain and you know who to call for a professional clean, everything will be alright in the end. The last thing you need to do is go through your house room by room, tidying things away and wiping down surfaces to get rid of any settled dust. This is a nice, easy task and you will immediately feel the benefit of clearing things away. And if you really like it, perhaps you should give minimalism a try! Marie Kondo is quite a superstar when it comes to magically tidying everything away and her folding techniques really do make storage a lot easier. You might not want to go through all your things right now, but it is worth considering having a big sort out after Christmas to get rid of the things you just don’t use, things that are looking old and the things you have fallen out of love with. There are all kinds of great storage solutions available, but your house shouldn’t just be about storing lots of stuff. Instead, you need to find creative storage solutions that allow you to enjoy your things without feeling swamped by them. In the kitchen this might mean introducing a spice rack to organise herbs and spices; in the bedroom it might mean designing an integrated wardrobe to hide all your clothes and shoes away; in the living room, it might be that you buy a sofa that has storage under the seats. Once everything is clean and tidied away, you will have the perfect home to welcome guests and feel completely relaxed yourself.